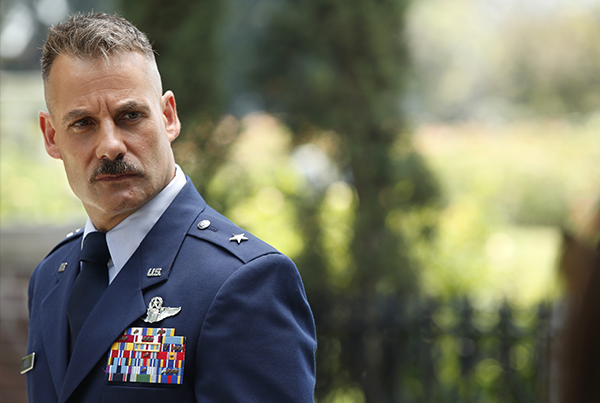 Adrian Pasdar currently recurs on Marvel’s Agents of S.H.I.E.L.D on ABC in the role of General Glenn Talbot. He also just wrapped a starring role in the pilot of ABC’s Kingmakers. As fans know Adrian is the voice of Iron Man/Tony Stark on the animated series Marvel?s Avengers Assemble and crosses over to several other shows in the role. Other television credits include the hit television series Heroes, Lying Game, Political Animals, Desperate Housewives, Profit, Feds, Judging Amy, American Playhouse and programs for the BBC. In film he has recently been seen in the indie films Run, Home Movie and recently finished Coming Through the Rye with Chris Cooper for a 2016 release .Feature films include Near Dark, Top Gun, Carlito’s Way, and Secondhand Lions alongside Robert Duval and Michael Caine. Pasdar wrote and directed the film CEMENT, starring Jeffrey Wright and the late Christopher Penn, which collected the Grand Jury Prize for Best Feature film at the Houston Worldfest in 2000. On stage, his production of the musical ATLANTA at the Geffen was very well received. Atlanta is musical that was co-written by Adrian Pasdar and grammy-award winner Marcus Hummon (the two met as Hummon was writing songs for the Dixie Chicks) and co-directed by Pasdar and Randall Arney. Set against the backdrop of the civil war, Atlanta is a love story with music that ranges from contagious toe-tapping tunes to soul-searching solos. This premiere production was the first musical in the Geffen?s renovated space in Westwood.